Done with the first round of job interview and preparing for the next one? Know how to effectively plan for it and grab the job you are eyeing. Preparing for second round of job interview? Congratulations on clearing the first round of interview. Now that you have moved to the second round of job interview, the competition will get tougher and the number of people moving to the final round or getting the offer letter, smaller. So, here are a few interview tips to ensure that you are well prepared and ready to bag the job. 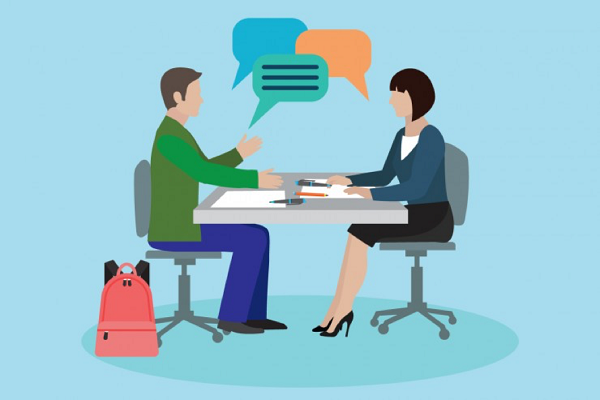 The first round of interview is generally a getting-to-know-you phase. The second job interview is more about testing your skills and knowledge and how well you will fit in the job profile. It is about the interviewing manager recommending you to other interviewers to test you, judge you and then decide. While that is an encouraging thought, in the second round of interview you will be most liked pitted against people with near about same qualifications and caliber. They would have been brought here after filtering the other candidates out. So, for the second round of job interview, you will have to pull all plugs and give your best to get the winner’s prize. While a second interview is not easier, you still have some idea about the company and what they are looking for. You can build on that knowledge when sitting for the second round of interview. During the first interview, there must be times when you would have piqued the interest of the hiring manager. When they would have smiled in response, nodded their head along or leaned forward to listen to you more attentively. Recall the things you were talking about when that happened, what was your own body language. Work on those things and drive home the point better and stronger in the next round of interview. Read more about the company, add to the knowledge you might have gained about it before the first interview. Follow them on social media channels, search online, read company reviews, notice common themes and motifs. Go through what the company’s objective is and what they hope to achieve in the near future. See if you can relate to it and how. While you should be all prepared for the unexpected during the second job interview, it is advisable to also look into the questions which will most likely seal the deal. Questions about why you are the best fit for the job, or what is the salary you are expecting. How well and smartly you handle these questions will have a heavy say on whether you get the job or not. While with the first question you can re-illustrate why you are the perfect fit and talk about all the things that make you unique. Talk about your determination, your achievements, your shortcomings and how you intend to overcome them. Give the interviewer an insight of who you are without bragging too much. As for the second question, your performance in the interview will determine your salary to a great extent. However, let the employer know what you are expecting and that you are open to negotiation. You can also wait for them to quote a figure so that you know what to expect and which way the conversation might turn. And while all these interview tips are fine, the real deal is how confident you are. If you are overconfident or underconfident, you might end up losing the job. The best way to ensure that you ooze the right amount of confidence is by practicing. Practice with your friends, hold mock interview trials or use online portals like Mock-AI to help you through.